Hello everyone and Happy Father's Day to all the Dad's! 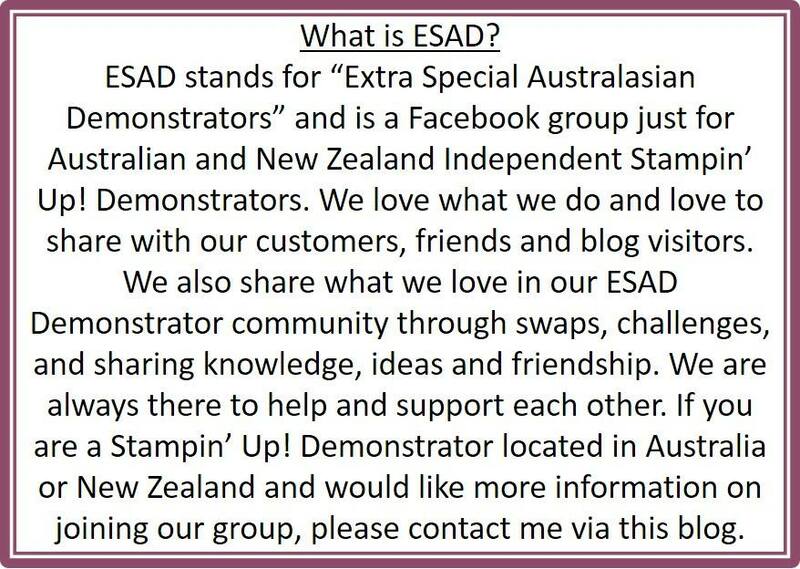 Welcome to the ESAD 2017 Holiday Catalogue Blog Hop, you have either started with me or already started hopping and just come on over from my gorgeous friend Lou's blog. That's right, you heard correctly, we have just had our Holiday Catalogue become available to customers as of the 1st of September. It is jam packed full of new goodies, not only Christmas sets but also everyday items. If you would like a hard copy (you can view it online here) please contact me and I'll get one out to you! 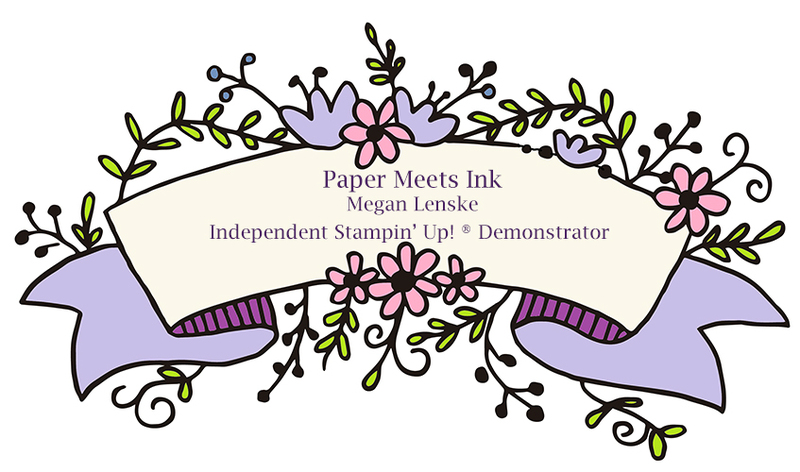 Now at this point I would suggest you go get a nice beverage of your choosing and sit back and hop from one demonstrators blog to another, there is going to be some fantastic inspiration for you and all of it from the new catalogue! P.S Our big annual catalogue is still running, this is a supplemental one, because you always NEED new things *wink, wink*. My card uses the gorgeous sentiment stamp and matching card front builder thinlit from the Carols of Christmas bundle. The snowflakes are from the very versatile Colourful Seasons bundle (in the annual catalogue). 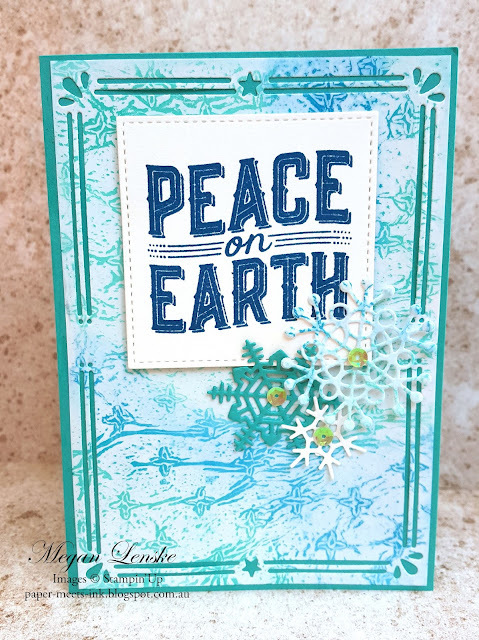 The background piece is a really fun technique called Waxed Resist Embossing, we made this card in our card class last month and everyone had a lot of fun making it. I think they were probably a bit baffled at first as to why I had the iron and ironing board out in the class space (probably just thought I couldn't be bothered to clean up before they came!). It uses the new glossy paper and regular waxed paper from the grocery store. 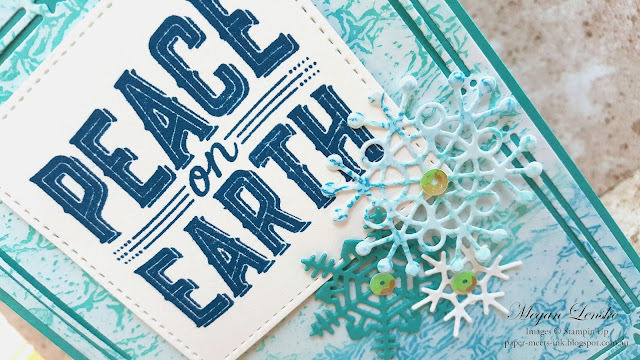 You emboss a piece of waxed paper in an embossing folder, here we used the Sparkle embossing folder. You then, between two pieces of copy paper (this is just to protect your iron & ironing board) place the wax paper face down onto the front of your glossy paper, then with your iron set to cotton and no steam, iron over it for about 30 seconds. Once you've done this you then use your daubers and inks of your choosing, for this card I used Pacific Point and Bermuda Bay and you ink up your glossy card stock to reveal the wax resist. I really love the effect. For a list of supplies I used refer to the list at the very bottom of this post. Note - the large snowflake was die cut from the main panel where the sentiment panel lies, waste not, want not I say! Seeing as it is Father's Day here in Australia, I just wanted to show you what my creative girl made for hubby yesterday. It's not Holiday Catalogue related but is in the Annual Catalogue and I can't help being a proud Mum, so please humour me! 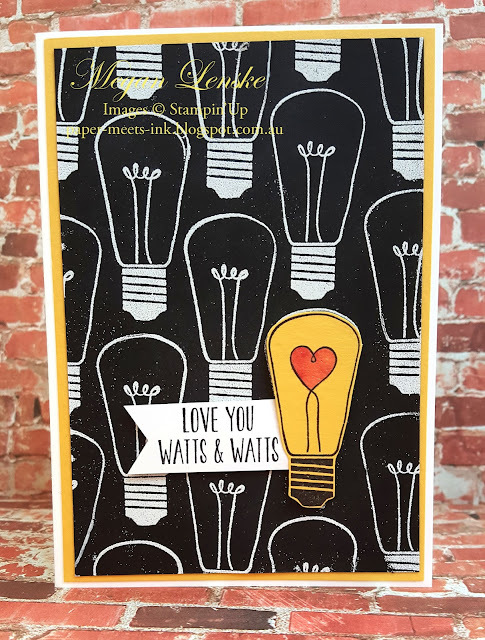 The stamp set is called Watts of Occasions. Pretty cute, right? What was even cuter was hubby thought she had made the sentiment up herself, no hun, Stampin' Up! helps us with that! I love that she knows her way around my craft room (even when it is relocated to the garage at the moment after The Flood!). Now it is time for you to hop on over to Amity's blog and see what she's got in store for you! 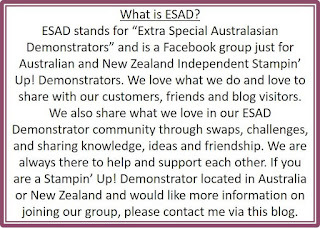 Just click the button below and if you get lost at all just refer to the list below with all the links to every blog.